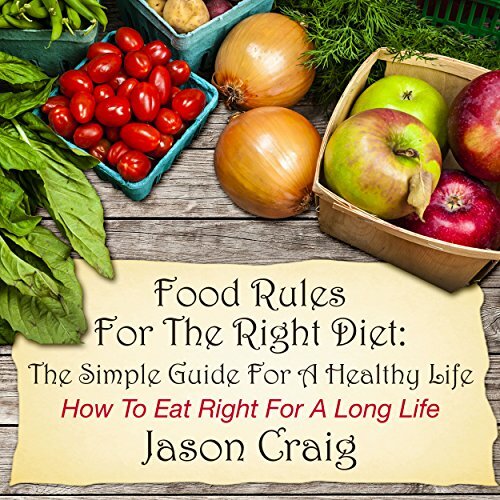 Food Rules for the Right Diet: The Simple Guide for a Healthy Life is an audiobook that is focused on assisting the listener to learn the best way to lose weight effectively and to keep it off. It also helps the reader to learn what it takes to keep the body functioning effectively. The author highlights all those tasty foods that are simply bad for the body, and then explains how an individual can make the change to a healthier diet. In the long run, the listener will learn that the solution to the problem is learning how to modify the diet. It is not only about eating the right foods, but also about eating the right portions of each. The weight will not disappear magically and the body will not be restored to health without some effort; and be advised that the path to a healthier you is much harder than the path to an unhealthy one, so be prepared to be fully dedicated to the process.